In the proud tradition of historical dilettantes everywhere, I shall devote this post to nitpicking a dramatic production. 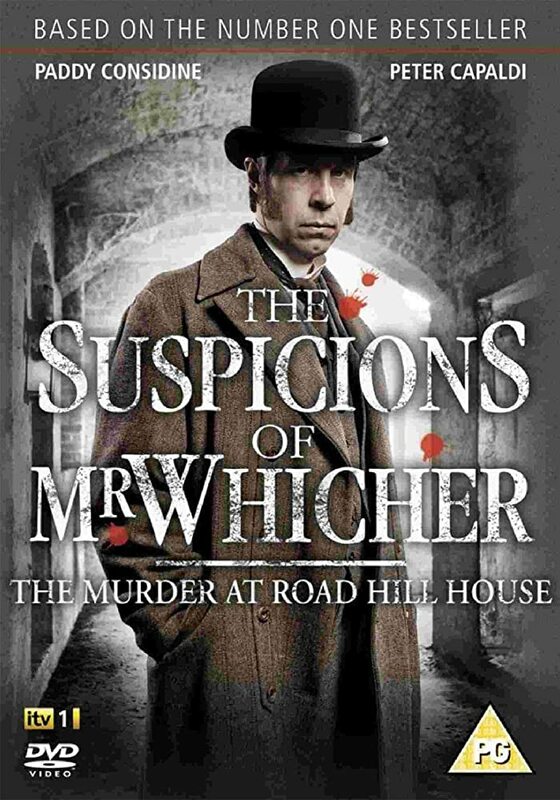 I’ve watched a couple of English TV movies in a series entitled “The Suspicions of Mr Whicher.” The original film, “The Murder at Road Hill House,” is based on a book by Kate Summerscale, describing a sensational murder inquiry in 1860. A young girl named Constance Kent was accused of the murder of her infant half-brother, on evidence presented by Inspector Jack Whicher, a respected Scotland Yard detective. The court found his evidence insufficient, but Miss Kent eventually confessed, years later, at the urging of her clergyman. She served a sentence in prison and then emigrated to Australia, devoting her final years to good works. The series then parts company from history. In the subsequent movies, Mr Whicher has been discharged from the Force and investigates crimes as a “private inquiry agent.” In real life he continued as a police detective, and retired well-respected. He was an inspiration for Dickens’ Inspector Bucket and Wilkie Collins’ Sergeant Cuff, among others. I’ve generally enjoyed the two movies I’ve watched so far. Paddy Considine plays a somewhat scruffy detective, self-effacing and empathetic. The look of the production seems to me (I’m not an expert) pretty authentic. At least it leaves that impression. The policemen, for instance, wear stovepipe hats, rather than the “bobby’s helmets” that would be adopted later on. But there’s one problem that annoys me – and it has to do with hats. As in certain other historical series I’ve watched, nobody knows what to do with the things. Mr Whicher addresses a lady – a rich lady – without taking his hat off. He and other men enter private residences and leave their hats on. I’m old enough to remember when men wore hats all the time. Even at that late date in the history of hat-wearing, the rules were well known. You remove your hat when speaking to a lady. You remove your hat when going indoors. Failing to do either one marked you as a boor and a barbarian. Has this knowledge departed from the earth? Am I that much a dinosaur? I’ve rarely worn a cap and possibly never an actual hat, but I remember wearing a cap during prayer once and a fellow teenager knocking it off my head, which brings to mind a story of a precocious young man who wore his cap in church once when he was confronted by an adult, saying, “Son, are you wearing that hat in the Lord’s house?” The young man (who may have been teenaged, I don’t remember) replied, “I’m not wearing this in the Lord’s house. I’m wearing it on the Lord’s house!” The preacher who repeated this story did so approvingly but with amusement at the boldness it took to say something like that. In recent years I have taken to wearing broad brimmed fedora style hats. I like the fact that they keep the sun off the back of my neck. I also like to tease those wearing baseball style caps, which are quite the rage in my rural community. I commiserate that it’s too bad that they’re so poor they can’t afford a hat that goes all the way around their head.